Scheduling is the key to any business a success. Not only do you have to schedule operational hours with the right amount of staff but also schedule the delivery of your supplies and materials. The goal is to make sure both of those schedules line up. There are also other things you need to schedule a regular basis such as rubbish removal. You may already have a contractor that handles trash pickup but what about the bigger items? 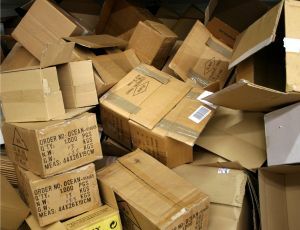 If you are inundated with boxes, promotional materials and other goods that need to be tossed out the bases, then you might benefit from setting up regular appointments with a company like Junk King Denver. These are junk removal professionals work closely with many businesses throughout the area to keep them all junk free. A customer will always notice right away how clean and establishment is. The prevailing wisdom is that if you can keep things clean that a customer sees, then what they can see is probably even messier. Your staff should be able to maintain the dusting and wiping but they can’t always take care of getting rid of those bigger objects. Junk King Denver will provide you with an additional crew that will be under your supervision for the duration of the task. This is the team that has been licensed and bonded you understand how important that is for any independent contractor. It is also what makes Junk King totally trustworthy. Understanding what you’re paying for is essential to your business operation. You’ll know the fee for junk King services before they begin the work. That fee will always be based upon how tightly the pack up the truck with all your stuff. This may change with regular appointments you can anticipate the same price whether you filling up one quarter, one-half, one third with the entire truck with each pickup. Included in the flat fee will be the disposal of all the stuff you’re getting rid of. Junk King Denver would much rather avoid going to landfill at all possible. That’s why they would have no problem making drop-offs to a recycling center or charity. That’s just how they operate. To keep your business free of rubbish and junk, partner up with Junk King Denver today. This entry was posted in Denver Junk Removal and tagged business, jjunk King, junk removal, rubbish on October 22, 2017 by Junk King. Last updated October 22, 2017 .